Two dessert tables delivered to Laura Ashley Hotels- The Belsfield. 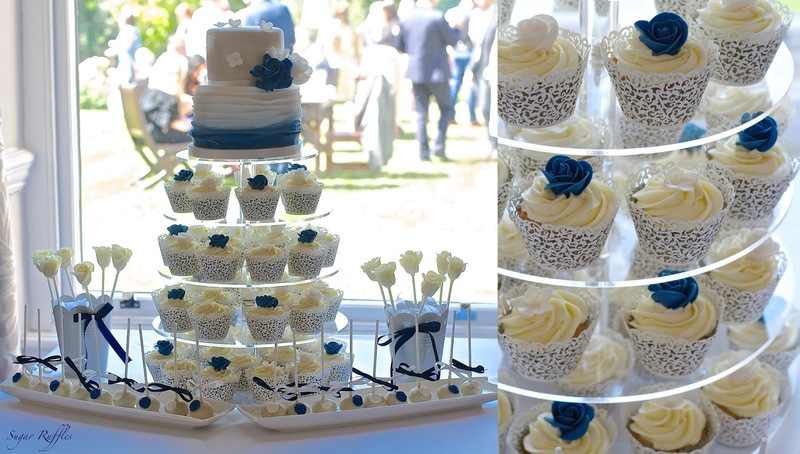 First a navy and ivory dessert table delivered on Friday featuring a 2-tier cake with ombre ruffles and roses, cupcakes, cake pops and white chocolate roses. 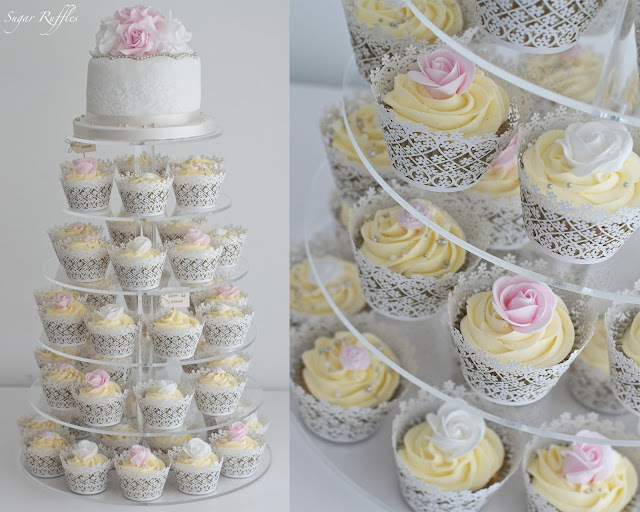 Pink and white cupcake tower by Sugar Ruffles delivered to Cote How Lakeland Venue - Rydal, Lake District for the wedding of Holly and Mark. Congratulations to the happy couple!